Welcome to Mountain Camp! 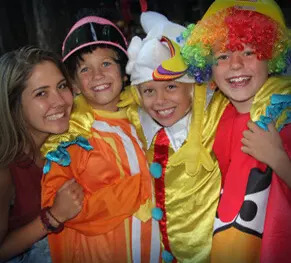 Whether this is your first overnight camp experience or you have been going to other camps for years, as a first-time camper, we know that you have lots of questions about what to expect this summer. After you register, we will send out a detailed Parent Information Pack with everything you will need to know. Our year-round office staff are available to answering questions or concerns so please don’t hesitate to call or write. Before the summer, we will do 2 online orientation webinars for all first time campers. We will answer all your questions about preparing for camp, transportation, how activity sign ups work, camp food, opening day and much more. Don’t worry if you miss the orientations, we record them and can send you the link so you can watch it at your convenience. Packing for camp is the beginning of each camper’s independent camp experience. Parents receive a detailed Packing List that tells you everything you’ll need to bring. Remember that nights at camp can be chilly so bring some warm layers and make sure that your sleeping bag is rated to at least 30 degrees or lower so you are comfortable at night! No problem! Mountain Camp is a great place to make new friends and many campers come not knowing anyone else. Our counselors are especially good at making sure all the campers feel included and a part of the group. Even if you come to camp with friends, you’ll be making lots of new ones while you here! Approximately half our campers ride the bus to and from camp and half drive. The choice is yours but here are some things to consider. 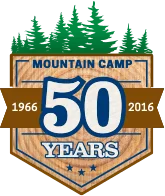 If you have never been, it is great to see Mountain Camp in person and be able to meet the counselors and directors in person. We encourage new families to try to do at least one drop off or pick up but we understand that is not always possible. The bus is also a great option. We use 55 passenger motor coaches that are staffed by counselors and have bathroom facilities on board. Many campers think of the camp session beginning on the bus and they really like taking it to and from camp. We provide lunches both ways and have 3 convenient stops around the Bay Area. For more information on Transportation, please click here. For those campers flying in to the Sacramento Airport, we provide a free shuttle service to camp. What is Opening Day like? It’s a blast! Check In is Sunday from 2pm – 4pm, and as soon as you enter our gates, your counselors will be waiting to welcome you to camp. You’ll meet the directors right when you arrive, get your cabin assignment, set up your camp store account, do a quick medical check in with our camp healthcare staff, and then you’ll head to your cabin to pick out your bunk. Next you’ll have a camp tour, do your first cabin meeting, take your cabin photo, do activity orientations, have dinner and then you’ll wrap up the day at our Opening Campfire! One of the most important aspects to the program at Mountain Camp is that campers get to design their own schedule and sign up for the activities that interest them the most. If campers don’t like an activity, they can change into another. We want campers to try lots of new things at camp so we offer Free Choice every morning from 9 to 10:30 and all day on Wednesdays. Regular activity sign ups are for 2 days and happen on Monday (for Monday/ Tuesday) and on Thursday (for Thursday/ Friday). 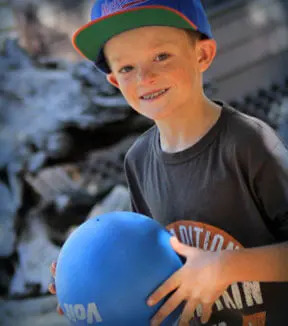 The schedule is designed to give campers a lot of variety and opportunity to explore new interests as well as the freedom to repeat activities they liked the most. Campers unplug from technology at Mountain Camp so that means no cell phones. But we do offer one-way email for parents to be able to write letters as often as they like. Emails are printed off and given to the campers during mail call after lunch. Parents are welcome to send letters and care packages through email and campers will be sending postcards and letters home the same way. Our counselors will send parents a camper update and cabin photo each session as well. Parents are always able to call and speak with their campers if there is any type of emergency or special occasion. 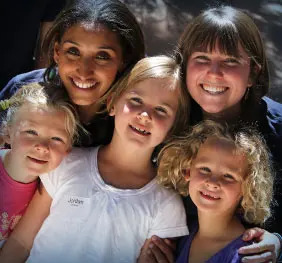 We want Mountain Camp to feel like a second home for our campers and as soon as you pass through our gates, you are apart of the Mountain Camp Family. We can’t wait to see you this summer!